October 23, 2011 A must have! 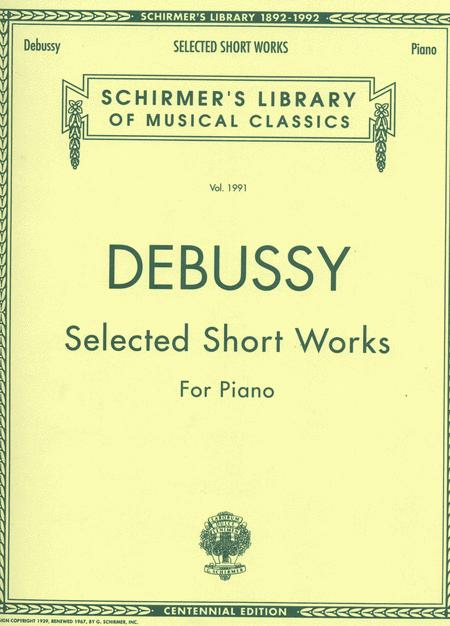 Debussy is a genius. Every pianist should own this book. A wide range of his works are included from the familiar to the unfamiliar. However, every piece is beautiful and technique builder. The pieces range from challenging to do-able for the intermediate-a little more advanced player. Bought this for the Valse Romantique - Typical safe, standard, concise, well-edited Schirmer's Library Edition. 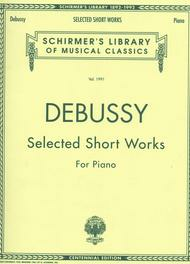 This is a nice selection from the works of Debussy. Well-known masterpieces like the Images, Estampes, and Children's Corner are paired with lesser known, but equally interesting, pieces like Ballade, Danse Bohemmienne, and Nocturne. 11 of 27 people found this review helpful.